We grow more than 1,500 varieties of plant material including trees, shrubs, ground covers, vines, annuals, vegetables, herbs, perennials and fescue sod. Our greenhouse facility has 25,000 sq. 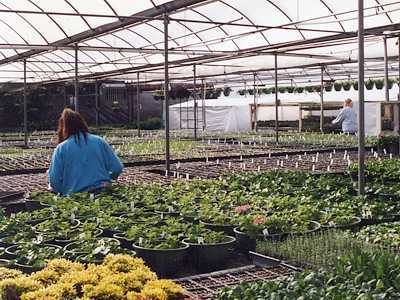 ft. of space for production of annuals, perennials, vegetables, herbs, groundcovers and poinsettias. 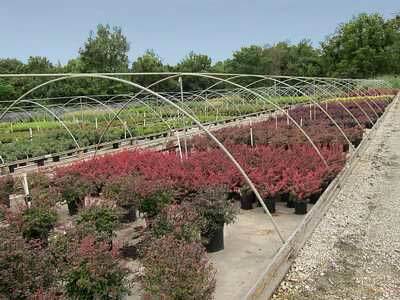 All of the high quality plant material we produce is on display and available for purchase at our garden center. 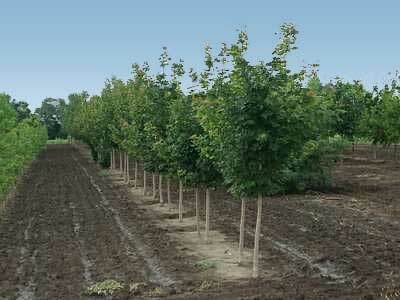 Growing our own plant material enables us to provide the highest quality at competitive prices. Nearly all of the plant material we sell is supplied from our production facilities located near Saint George and Manhattan. Our homegrown plants are already acclimated for Kansas conditions allowing them to perform with vigor in your landscape or garden.